In Bulgaria, we often say "in a European way" to show something is done as it should be done, that it is normal, the right thing. 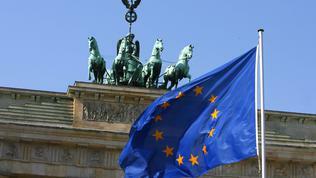 The European way is a symbol of purity, impartiality, principles, rule of law. However, there is a huge risk that purity to be stained by the desire for more seats in the European Parliament. That is why the European elections in May next year will be the biggest test whether the European political parties and the European Parliament at large deserve the more powers the Lisbon Treaty granted them. When it comes to Ukraine and the way Russia is blackmailing that country and is dividing the society into two groups, the European Union is unanimous, of values and, we should admit, quite impotent. But how do things stand with absolutely the same problem, but in a EU member state? Bulgaria, for instance? On November 16th, in Bulgaria happened something that hardly drew any European attention. It was even nothing more than a storm in a glass in Bulgaria itself where absurds come one after another to such an extent that whatever the Bulgarian viewers, readers, voters see nothing would impress them or strike them. Then, at the most central and symbolic place for the Bulgarian hesitant transition to the European system of values, Orlov most (Eagles' Bridge), the governing parties held a rally. It was obvious that a large financial resource was poured without any elections at plain sight or any other political reason for the rally. The purpose of the rally was to show the protesting for half a year Bulgarian citizens that their voice does not matter. Many large screens were lined up to enable people, who were brought there by buses from all over the country, who were served sandwiches, coffee and tea and who, nonetheless, did not fill the expected numbers, watch the leaders' speeches. 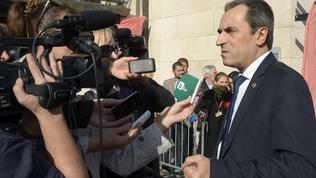 In other words, the two governing parties in Bulgaria showed publicly the "bought vote". 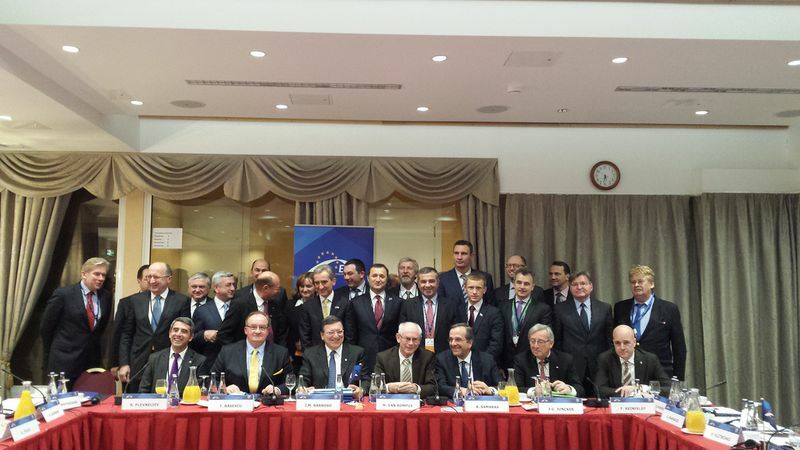 Speeches had the leaders of the parties from the family of the European Liberals and the European Socialists. In the same time, the biggest party from the family of the European People's Party, GERB, organised a counter rally in Plovdiv. Also with a solid financial resource at a time when Bulgaria almost weekly is reopening bond emissions, plans an increase of the budget deficit and, according to Eurostat, is the poorest EU member in terms of purchasing power. The gross domestic product per capita is 50% below the EU average. To compare, Poland, Hungary and Latvia are 30% below the average, and the new member state Croatia is 40%. Even Turkey, which 10 years ago was in the category "a third world country" and now is a member of the group of the twenty most powerful economies in the world (G20) has a higher index than Bulgaria's, as a EU candidate. Worse than Bulgaria and Romania are only the other candidates - Serbia, Montenegro, Macedonia, Bosnia and Herzegovina and Albania. These rallies would not have mattered if, for instance, Bulgaria were not a member of the EU. If the parties that organised these, indeed, humiliating rallies, were not part of the big European political families which as of the autumn of 2013 are involved in the first of its kind common European campaign for the elections for European Parliament next year. 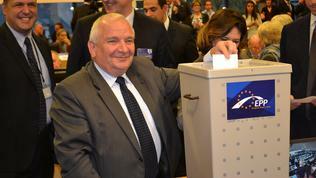 Elections which the European institutions have pretences to be different. At a time when the European political parties get precisely what they wanted in order to move the European politics a bit closer to the hearts of the European citizens, in Bulgaria, which vowed in the European values on April 25, 2005, by signing its accession treaty, a massive oppression of these values is taking place by a governance with the mandate of the Bulgarian Socialist Party (BSP). 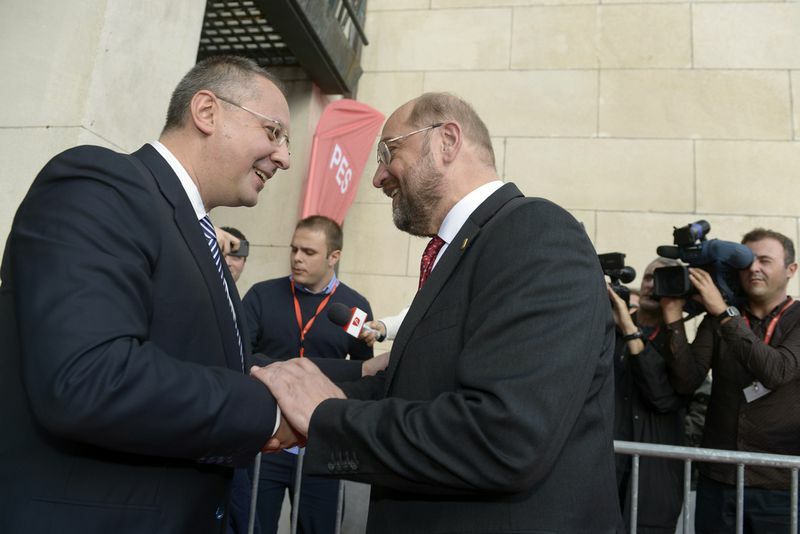 A party led by the chief of the Party of the European Socialists (PES) and former prime minister Sergey Stanishev. 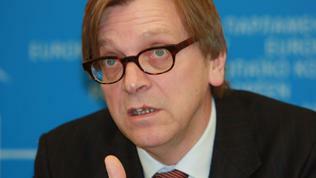 He was a premier at the time when Bulgaria joined the EU with a monitoring mechanism, meaning without trust. He was a prime minister when EU funds were frozen for Bulgaria, which are vital for the devastated by totalitarianism economy, worth one billion, due to abuses. He was a prime minister during whose term the mechanism instead of being removed was enlarged to cover more areas. The French left liberal daily Le Nouvel Observateur wrote [in French] in September: "Everywhere in Eastern Europe the communist parties turned into 'socialist' for the sake of social-democratic values, some of which have survived repressions. For sure, the Socialist International was reluctant to accept these mutants. And its fears are justified. It is not happy with the flirting with ultra nationalism and the extreme right, by the fact that many 'socialists' in the East turned into oligarchs, there are no punishments for corruption, murders, etc. They got rich for the sake of any socialist morale". The newspaper recalls the fact that the BSP has not yet condemned totalitarianism. A party that is currently in power thanks to the xenophobic party Ataka, making not less worth denouncing moves to get rid of it. This same Stanishev, whose new wife Monika Stanisheva got a grant by the European Parliament and for whom the Bulgarian weekly Capital revealed he was in conflict of interests. In the PES's system of values it is enshrined that the fundamental values of the party are freedom, equality, solidarity and justice. Democracy is a prerequisite for their complete manifestation. 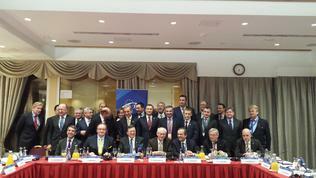 PES denounces the policy of pessimism which claims that nothing can be changed. They reject hate speech. 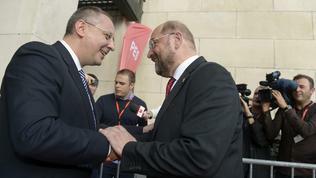 However, in Bulgaria, these values are being crushed not by anybody, but by the party led by PES's leader Mr Stanishev. The government he supports and led by Plamen Oresharski enjoys the lowest confidence in the country's newest history and that is since day one when for a key position in the state was proposed one of the most inexplicably enriched people of the transition, Delyan Peevski. Yet in the first year of this government, the Standard&Poor's credit rating agency downgraded the country's perspective from "stable" to "negative" precisely because of the political problems in Bulgaria. On PES's website can be seen other documents that severely criticise the lack of morale. They speak of ethics in politics and about a "healthy system of representative democracy requires openness, transparency and public control". But instead, in Bulgaria we get behind-the-scenes way of doing politics, a complete fog above the decisions of the government and the motives behind them and no public control whatsoever. Between Sergey Stanishev's first and second governments, in power was Boyko Borissov, who resembles quite a lot the Ukrainian boxer Klitschko, the founder of the opposition party UDAR, supported by the EPP. A member of Mr Borissov's government recently admitted that during his rule (2009-2013) media were seized and controlled for the sake of the government's media peace and power. This same member, Vezhdi Rashidov, is famous in the Bulgarian public domain as a "multak of the year". This is a nickname for being a member of the first post-communist large corporation Multigroup, known for its organised crime activities. He got this "title" at a party which took place in the biggest crisis of the country, when the state actually defaulted, there was hyper inflation and people were starving. This party was attended by many of the currently acting political activists from the transition. A government, during whose term not only no change happened, but the situation of democracy started visibly to deteriorate. A cult of personality began to be built. 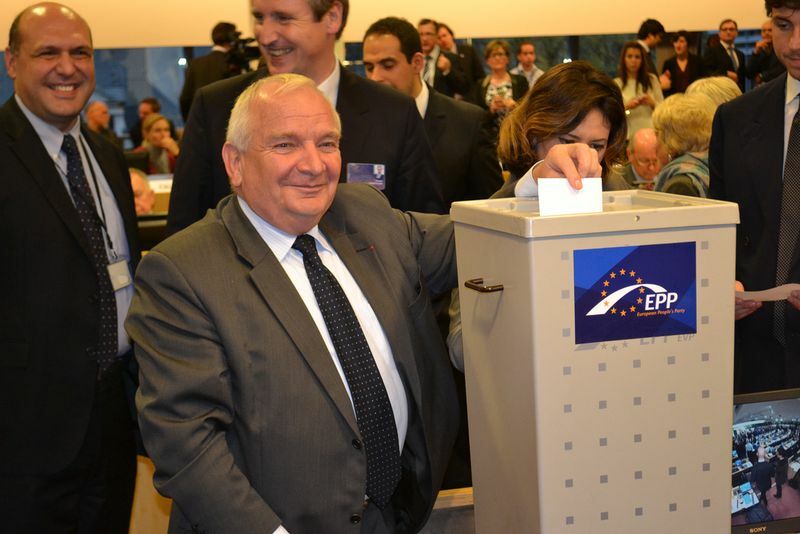 At the same time the EPP was defending at any cost its member GERB from the criticism of the Socialists. To arrive to the situation of November 16th when both parties mobilised rallies with huge financial resources and unclear reasons. Precisely at a time when in the capital city of Sofia there was a large concentration of police forces from all over the country, without any need for this. The protests that have been going on for six months against the oligarchic governance, the lack of a fight against corruption and organised crime, the total absence of a rule of law, are as peaceful, innovative and persistent as in the beginning. But they stand against the entire state machine. 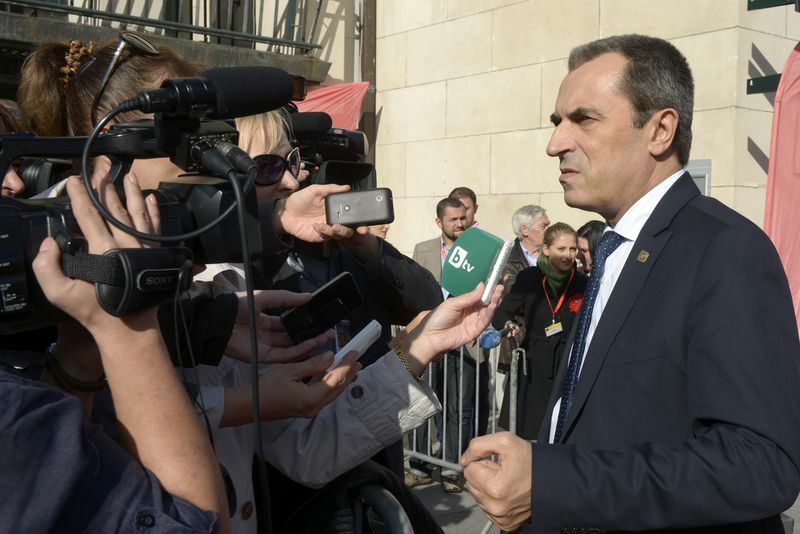 Prime Minister Plamen Oresharski was even not ashamed to violate the Constitution by threatening all public servants of being fired if they took part in the protests. With these rallies, the BSP, DPS and GERB showed publicly the their electoral capacity and the bought votes everyone knew about and about which there were investigative media reports but no one saw in person. And in leaked in media party instructions there were calls to all those who did not get any state positions after the last elections to join the rallies on Saturday (November 16th) to get some. Obviously, in a desperate attempt to gather as many people as possible to demonstrate their power. Or, may be, their "democratic" legitimacy? We should not omit the fact that GERB is the first big Bulgarian party which put Bulgaria on the map of populism in Europe. Although in the EPP's values charter it is written that "populism, nationalism and euroscepticism are incompatible with a strong and efficient European Union". The EPP's fundamental values are "the dignity of human life in every stage of its existence, freedom and responsibility, equality and justice, truth, solidarity and subsidiarity". It can hardly be said that GERB is a conductor of these values in Bulgaria. The European Liberals, too, are not innocent. 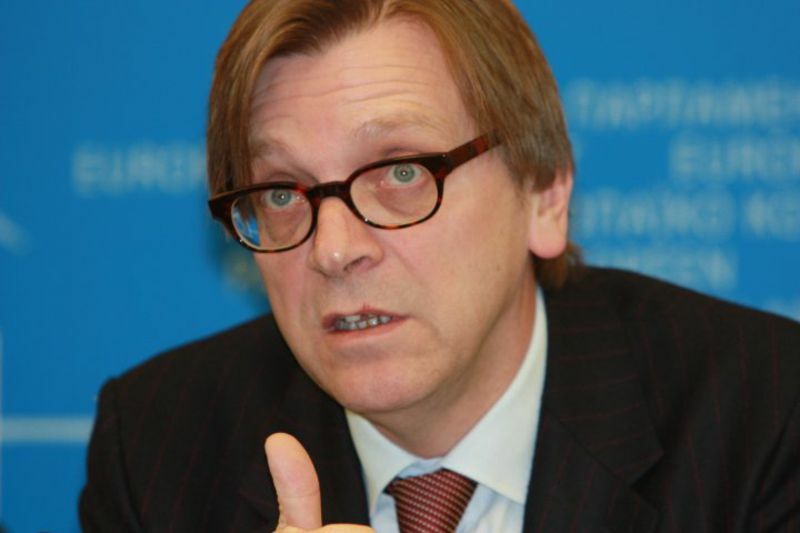 Recently their group leader Guy Verhofstadt, one of the most outspoken eurofederalists, praised the Movement for Rights and Freedoms (DPS) as a pro-European party. And this party is responsible for many of the failures the Bulgarian citizens have been enduring in the part 23 years of transition. A party the most adequate definition of which is a "political corporation". A party, whose former leader Ahmed Dogan, currently am honourable chairman, years ago admitted publicly on one of the most watched TV stations that he was managing rings of companies. Is this the European future the European political parties promise to one of the poorest countries in the EU? Is this the democracy and market economy you promised as a salvation of a blackmailed by Russia country? Are you ready to be the European Judas for several seats more in the European Parliament for the Bulgarian society and all the others who lead severe battles to get rid of the claws of totalitarianism? And to make the contemporary equivalent of the 30 pieces of silver clearer, GERB secured five seats for the EPP in the current Parliament. I repeat - FIVE. The Socialists secured FOUR seats and the DPS gave ALDE 3 seats (THREE). This is the price of the support for governments that have led to today's complete collapse of democracy in Bulgaria. A collapse that I, personally, hardly see an exit from and a beginning of a process of recovery. These 30 pieces of silver will cast a large shadow over the European Parliament's big ambitions for the European elections next year. When this institution was a voiceless body, although the only one with democratically elected members, values were defended relentlessly. The Lisbon Treaty made it a very powerful institution to influence the European politics. It is on its way to choke with its new powers. 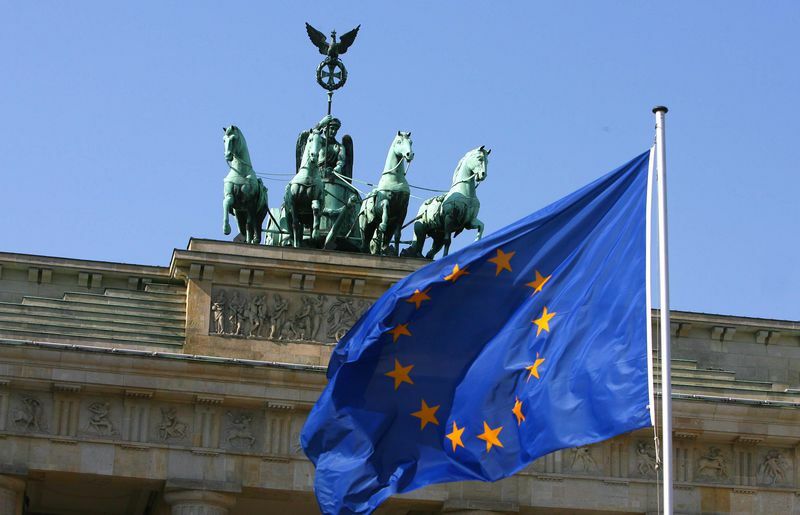 It is very important to see if the European political families will begin purging themselves from the weeds or will they continue, for several seats more, to trade the European values for the sake of a bigger goal? And could that goal be? Simply more power for the European Parliament or a strong European Union that makes no compromises with either of its fundamental values? A union that will be as zealous in purging its own pigstry as it demands from others. The European political parties - guilty until proved innocent! Currently a process of flaking of political parties is taking place nationally, but also at a European level, although with a much slower pace. The common thing is that the parties neither nationally nor on European level have any distinct image, ideology or purpose. They are driven by discord on something rather than seeking accord around something. And with the European parties it is even harder to make a distinction. During debates in the European Parliament can be seen that the biggest political groups defend the same things, generally more Europe, while there is almost no opposition at all except the Nigel Farage's eurosceptic group and from time to time the Conservatives led by Martin Callanan. The latter, however, got a huge slap in the face by European Commission President Barroso, who told him that their existence was dependent on Farage. What I personally expect from a European political party is to articulate specifically how much Europe, how far Europe, until when Europe, with whom, without whom, at what cost, who should pay it. I also expect them to say how exactly will they conduct their politics through their national sisters. Will they change the way they select their members? All these are questions that have no answers. We can hardly expect any because all of them are busy with the biggest issue of the upcoming elections - unemployment. But this is precisely the issue that will push the debate into national hands because of the already hysterical fear of an influx of poor eastern Europeans in the hurt by the crisis rich western European countries. So, dear European political families, you have a deadline until May 2014 to prove that you deserve the powers the Lisbon Treaty gave you and that European truly means pure and right, not another dirty behind-the-scenes thing. *This is a word game with a famous phrase by Bulgarian Parliament speaker Alexander Yordanov from the early 1990s when he proclaimed "Today is a wonderful day for the Bulgarian democracy"